Summer is in full swing and classic summer treats are everywhere the eye can see. 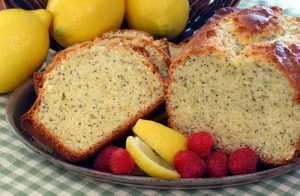 One of our favorite Summer treats is Lemon Poppy Seed Cake, so that, of course, inspired us to use our Poppy Seeds and Lemon scented fragrances in our Personal Caere Bases. Poppy Seeds are incredibly attractive in our Sugar Scrub Base! 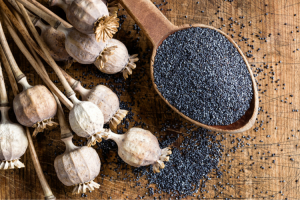 Our Poppy Seeds add extra texture and gentle scrubbing properties. A sweet lemony fragrance suits this scrub nicely. Color can be added to make the scrub extra special. Blues, purples, yellows, and pinks look great. Here is the basic recipe, simply mix all the ingredients in a suitable container. Once thoroughly mixed, fill into desired containers. Our Artisan Sulfate Free Melt and Pour Soap Base is also a perfect candidate for suspending our Poppy Seeds. Adding color is optional, as some prefer the natural look of our Soap, but feel free to experiment. Our Artisan Soap Base can be made to look similar to Cold Process Soap, depending on the technique used. If you want the Poppy Seeds to suspend and not settle at the bottom, be sure to pour the soap at as low temperature as possible. Be sure to keep stirring the soap to cool it slowly. 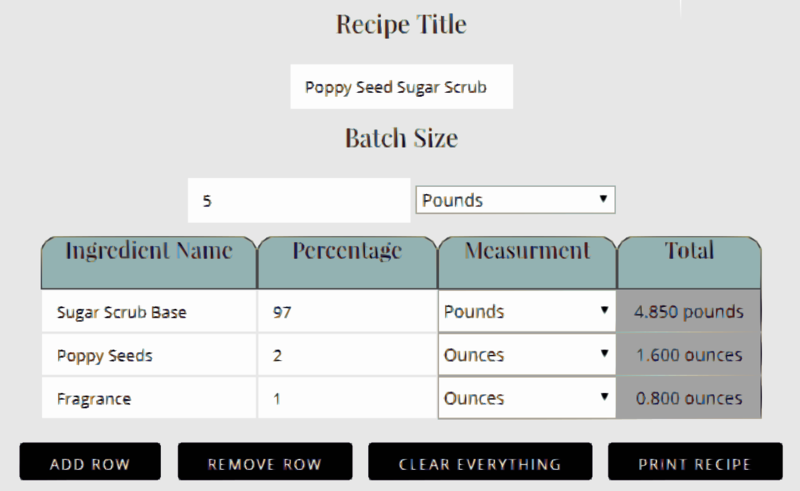 Below is the recipe, you can modify it with our Batch Calculator to suit your own batch size. Our Batch Calculator is a great, time saving resource you can use to calculate the exact amount of each ingredient you need for any give batch size you are making.